The King’s Speech – It’s just all so exactly what you think it’s going to be. 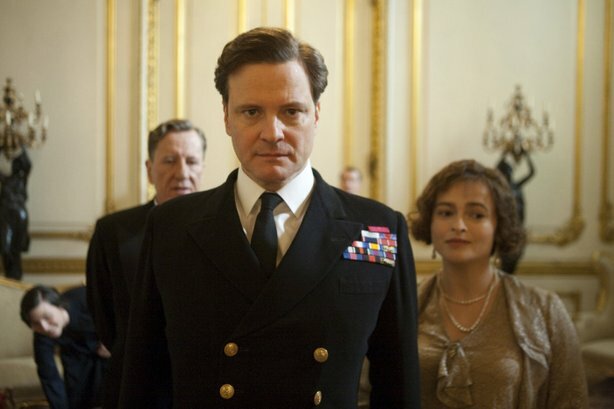 Colin Firth plays George VI in the years before his father died and his brother abdicated to marry a divorced American up to his big speech exhorting his country to war against Hitler. Geoffrey Rush is his quirky speech therapist. Helena Bonham Carter is his loving and supportive wife. All the performances are fine, the sets and costumes are pretty, the score is liberally sprinkled with Beethoven, the jokes are tasteful and witty and vulgar in an appropriately proper manner and any of the more questionable facets of our heroes’ lives are wiped away in a swirl of pseudotherapy and good feelings. It’s a movie for moms and Oscar voters. The #30 film of 2010. The Kids Are All Right – This, on the other hand, is even worse than you expect it to be, the kind of film that makes you understand why “they” hate “us” so much. Every note of this story about a lesbian couple and their teenaged children is false. Every character a cliche and every line of dialogue sounds like it was written by someone who has never had a conversation with someone who doesn’t shop at Whole Foods (or have their domestics shop there). The worst thing is that I think the film is actually probably a pretty accurate portrait of the kinds of people the folks who created this nonsense hang around with. I’d like to be able to read the film as satire, but it’s so deadly serious about itself that even that cheap way out isn’t possible. I don’t know which scene I hated more: the one where the son (his name is Laser, seriously) finally realizes his best friend is a jerk because he says “Look! a dog! Let’s pee on its head!” as if this is a common activity among juvenile delinquents. Dogs of Los Angeles, beware! Or the dinner party scene where Annette Benning (a great actress inexplicably getting serious awards buzz for this, maybe because she has an awful haircut) sings Joni Mitchell. Because, of course she likes Joni Mitchell (she a lesbian!) and because no one who has ever heard Joni Mitchell would ever attempt to sing a Joni Mitchell song like Joni Mitchell. Hers is not a voice other, non-professional singer humans try to imitate. Of course she sounds awful, but see that’s what makes it so real. Gag. The #44 film of 2010. Everyone Else – This is a much better film, though plagued with a lot of the same problems. Director Maren Ade sets the pace and visual style of real life, and her characters’ actions are somewhat plausible, but in a film that is essentially a two-handed character study, it’s essential that those characters be believable, and I don’t wholly believe these two. The first third of the film is pretty great, as Chris and Gitti vacation and have good and bad times together (seems he can’t get a real job because he’s either too meek or too lazy, but the two share a sense of humor and genuinely like each other). However, when they meet an obnoxious couple and Chris starts to act like the chesseball jerk of a husband because he thinks that’s what Gitti means when she exhorts him to be a productive member of society, the film lost me. The film sets up a limited, either/or idea of male behavior (loser/douchebag) that isn’t the least bit insightful. It just stacks the deck in the way a writer more interested in concepts than characters does. The #47 film of 2009. Micmacs – The latest from Jean-Pierre Jeunet stars Dany Boon as a video store clerk who gets accidentally shot in the head. He survives, but loses his home and his job and walks the streets until he joins a gang of homeless freaks who collect trash and make cool stuff out of it. He and the gang launch a complicated war against the two competing arms manufacturers in town (they made the bullet that shot Boon and the landmine that killed his father) that starts as a series of pranks and escalates (an arms race, naturally). As is usually with Jeunet, the film is a visual treat, with lots of golden light and earth tones and whimsical people and machines. Unlike his best films, however, the subject matter is a poor fit with his style. The seriousness of the international armaments black market, the horrors of unexploded ordinance, assassinations and kidnappings and explosions and dead children don’t make sense in a world where the main love interest is a contortionist who spends much of her time hiding in refrigerators. The balance between real world and fairy tale is something Jeunet’s earlier films (Amelie, A Very Long Engagement, City of Lost Children) get pretty much right, but the incongruity in this one is just too jarring. The #39 film of 2009. 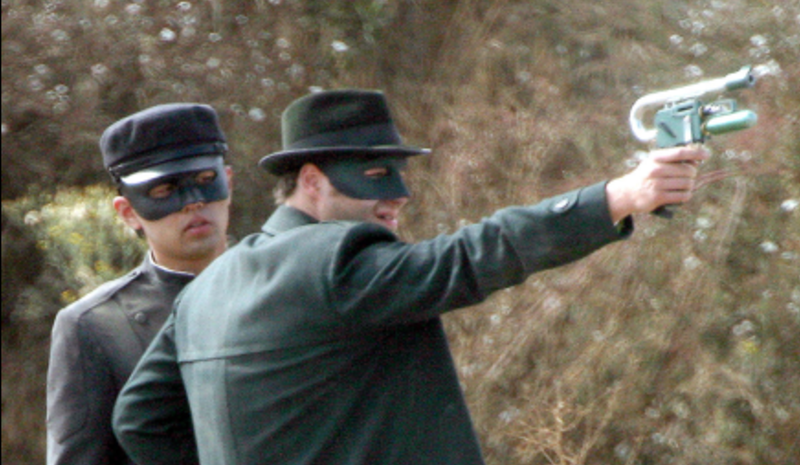 The Green Hornet – Feels like a movie that took 15 years to get made, and went through the hands of at least as many people before it finally did. The resulting sensibility mashup between writers Seth Rogen and Evan Goldberg and director Michel Gondry isn’t particularly unpleasant, it’s just relentlessly mediocre. Rogen plays the son of a fabulously wealthy newspaper editor(!) who, after his father dies, joins with his dad’s mechanic Kato to form a crime fighting duo. They draw the attention of the town’s supervillain (Christoph Waltz) and various explosions and high speed chases ensue. Taiwanese pop star Jay Chou plays Kato, and while he’s funny enough, he’s no match for Rogen and his fight sequences aren’t exactly to the level you expect in a role played on TV by Bruce Lee. On the few occasions when Rogen and Chou’s timing syncs up, the film can be pretty funny, and Gondry uses 3D well enough in the fight sequences, which contain a potentially neat idea that doesn’t really go anywhere as Kato is able to move as if everyone around him is in slow-motion. It’s basically a 3D version of some of the fights in The Matrix, but dumbed down a bit: we get Kato’s opponents’ weapons helpfully highlighted for us, otherwise we’d lose them in the cluttered, darkened 3D visual field, I guess.